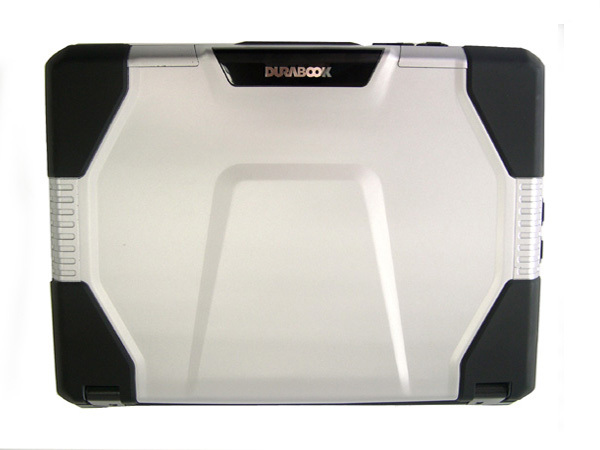 Whether you work outdoors or simply require a notebook that can stand up to the harsh realities of road travel, the Durabook D14RM from GammaTech Computer can take, within reason, whatever you dish out. Base models of this laptop start at $1,299, and our review unit goes for $1,949, so it's clear that this ruggedized 14-incher costs a bit more than your typical business notebook. Though not the most stylish laptop, the D14RM is one of the toughest. It costs a premium, but it can take a beating, and it offers generous security features and solid performance. I didn’t come away from my time with the D14RM overly impressed with the computer. It’s great to see a semi-rugged computer with a sub-$2000 price tag, but to get to that point concessions had to be made. The computer looks like it will be very good at taking some types of punishment, but will fall short with others. It also doesn’t pack discrete graphics nor does it have a very good battery life, both of which would help minimizue other shortcomings. Unfortunately the D14RM doesn’t shine in any area, making the case that maybe you just need to spend more if you want a rugged system. 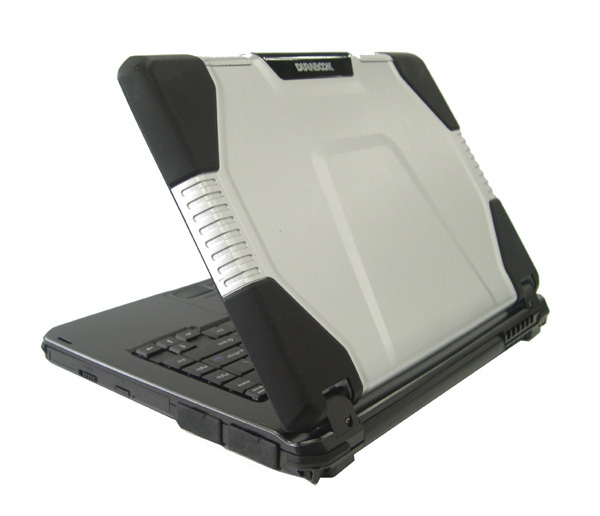 If you need something semi-rugged this could do the job, but probably only when it comes to blunt trauma–it does not seem to be prepared for the more demanding aspects of rugged computing. 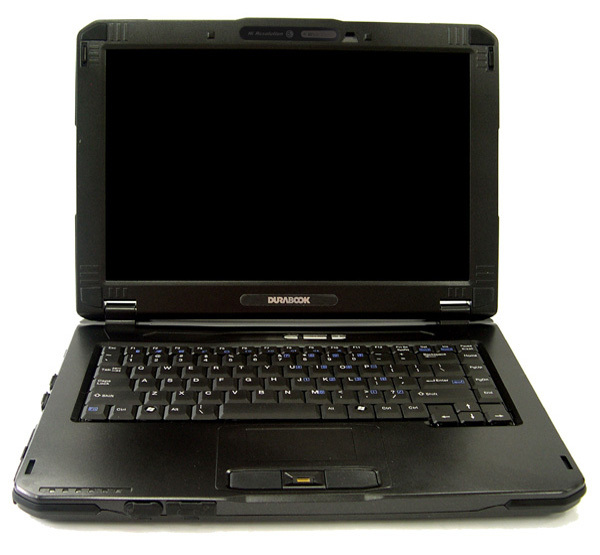 In terms of amenities, the D14RM offers a good selection of ports, including HDMI—all of which are protected with attached rubber caps to prevent dirt and dust from mucking with the works. But it’s strange that GammaTech makes these allowances for outdoor use yet outfits the D14RM with a glossy 1280x800 screen. Such a highly reflective surface is totally unsuitable for use in bright natural light. 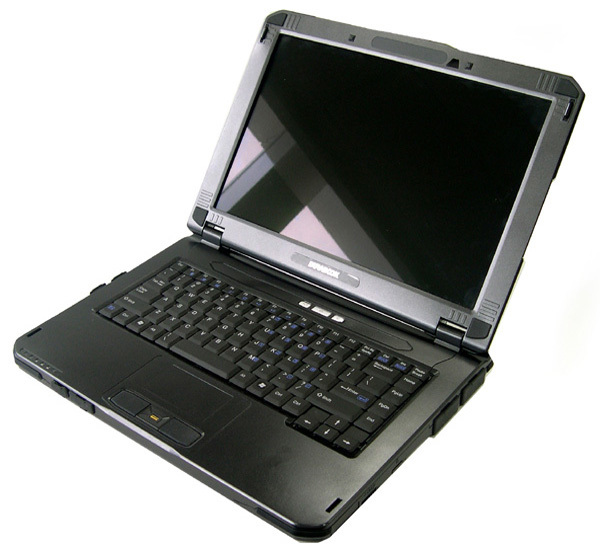 743: Ultra Low Voltage (ULV) processor for small and light subnotebooks. 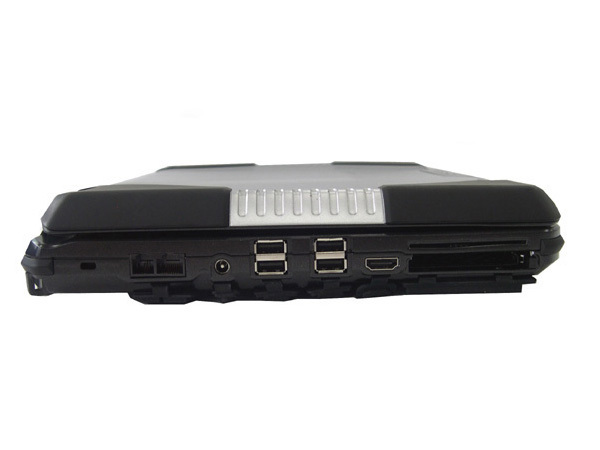 Does not support Speedstep (more power consumption in idle mode), 64 Bit, and Virtualization (VT-x).» Further information can be found in our Comparison of Mobile Processsors. 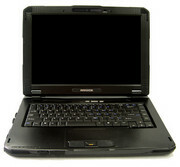 Gammatech: Gammatech Computer Corp. is a US-manufacturer since 1987. The market share in the laptop market is very low.